If you want to make lasting financial resolutions, you have to include a certain level of detail in your goals. While we’d all love to become millionaires overnight, setting a goal to become “rich” in a short period of time isn’t very realistic.Don’t set yourself up for failure by including unrealistic details in your financial goals. It’s completely acceptable (and encouraged!) to dream, but not to set goals that are impossible to achieve. If you would like to set up a no-cost consultation with the Investment & Retirement Center* located at First Financial Federal Credit Union to discuss your savings and retirement goals, contact them at 732.312.1500. First Financial is not responsible for any content listed on external websites. *Representatives are registered, securities are sold, and investment advisory services offered through CUNA Brokerage Services, Inc. (CBSI), member FINRA/SIPC, a registered broker/dealer and investment advisor, 2000 Heritage Way, Waverly, Iowa 50677, toll-free 800-369-2862. Nondeposit investment and insurance products are not federally insured, involve investment risk, may lose value and are not obligations of or guaranteed by the financial institution. CBSI is under contract with the financial institution, through the financial services program, to make securities available to members. CUNA Brokerage Services, Inc., is a registered broker/dealer in all fifty states of the United States of America. 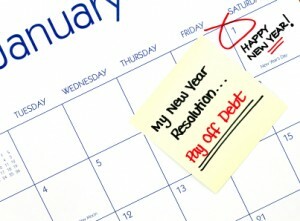 This entry was posted in Financial Advice and tagged Financial Advice, Financial Resolutions by M2 The Agency. Bookmark the permalink.